Yisrael Beytenu chairman says cornerstone of party's coalition agreement is legislation that terrorists be put to death. Yisrael Beytenu Chairman Robert Ilatov on Wednesday night sent a letter to Coalition Chairman David Bitan (Likud) asking him to "guide the coalition's partners towards approving a law" mandating the death penalty for terrorists. 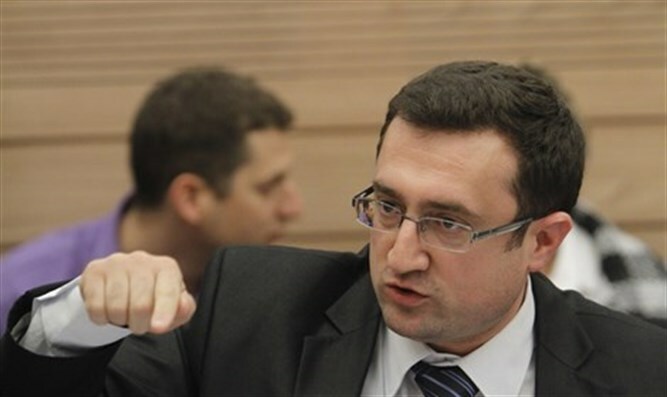 The proposal includes amending existing legislation, and it was put forward by the Knesset's Yisrael Beytenu party. "Section 34 of Yisrael Beytenu's coalition agreement with the Likud party discusses legislating the death sentence for terrorists. This proposal is the result of Yisrael Beytenu's decision to implement Section 34 of the coalition agreement," Ilatov wrote in his letter. "As you know, this is an important and essential section for the Yisrael Beytenu party, and it forms one of the cornerstones of the party's agreement to join the coalition. "In light of these facts, I ask you to encourage the other parties in the coalition to support this legislation, so that we can correct the existing laws. We see prime importance in ensuring this amendment is approved, and that the Knesset sends this important message to the Israeli public." Israeli law currently includes the death penalty, but judicial barriers have prevented its use since the execution of Adolf Eichmann in 1962, amid fears that the death penalty could lead to hostage taking and to murdering Israelis who are held in Arab countries. Earlier this month, a Haaretz report claimed Israeli Prime Minister Binyamin Netanyahu thwarted a proposal to impose a death penalty on terrorists who had committed particularly brutal acts.